During the last couple of weeks we’ve been very focused on deeply understanding Cassandra’s write and read paths to build our models the best possible way. After so much investigation I can summarise which are the steps we follow to assess our model’s performance. 1. Have good practices and anti-patterns always in mind. Cassandra is known to be a very resilient and highly performant platform, but only so long as you follow the rules and work with the underlying data model. There are quite a few of these rules so my recommendation is to read through them quickly before thinking of your model. Once you’ve all the ideas fresh in your mind is time to start thinking about your data model. Following all the ideas and principles learnt in the previous step, design your data model and try to think of alternatives. These alternatives usually come as minor adjustments that can be applied to the model but just by following the best practices you can’t decide whether one or the other is a better choice. Having a bucketed time series with a maximum of 86,400 rows per partition, how is it better to read an entire partition? Having a model that contains the information of a discretised distribution on each record, how is it better to save the bins? The resulting models will meet all the good practices and avoid all the anti-patterns regardless of the final decision so, how do you decide which way to go? It is important that the access patterns are exactly the same way they’ll be in production, otherwise the result of the benchmark is completely useless. This script should be adapted and ran for every single alternative. Now we have to collect the data for each execution and compare them to work out which of the candidates is our final model. The output of the script’s execution. 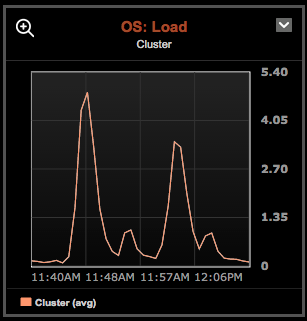 2.1 DataStax OpsCenter is probably the most advanced and easy to use Cassandra monitoring tool. 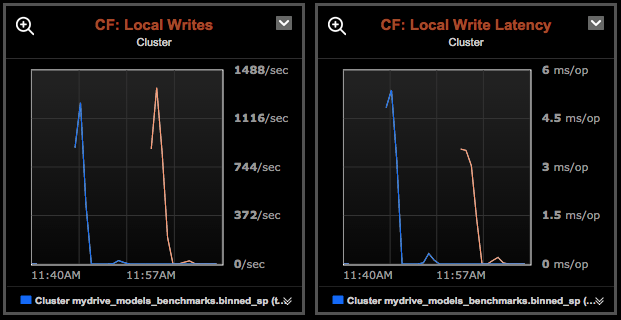 In all the graphs we can see two peaks, the first one was generated during the execution of the lists based model benchmarking and the second one during the columns based one. 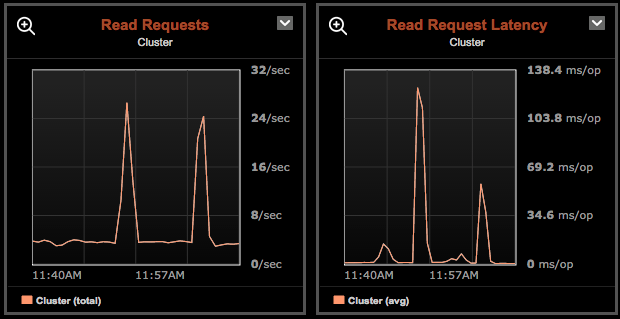 This graphs show the total reads per second received in the whole cluster on the and coordinator nodes and the average time taken in responding them. 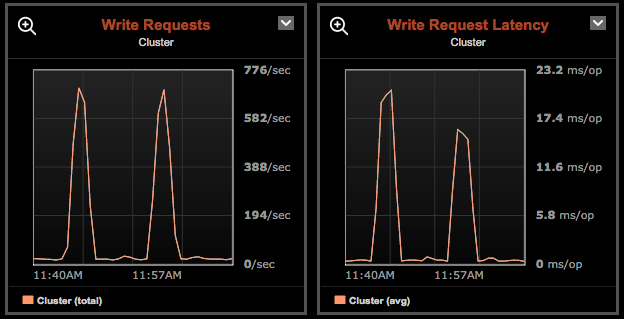 This graphs show the total writes per second received in the whole cluster on the and coordinator nodes and the average time taken in responding them. Average measure of the amount of work a computer performs. A Load of 0 means no work at all, and a load of 1 means 100% of work for a single core, therefore, this value depends on how many cores available. In our deployment = 2. 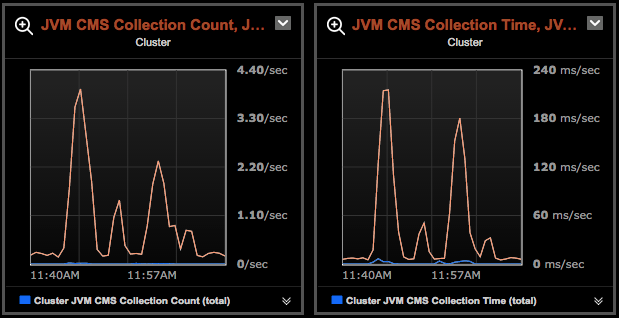 Number of times each of the JVM GCs run per second and the time elapsed in each run. 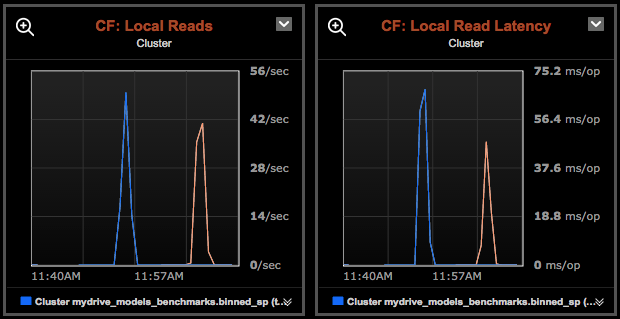 Total reads per second received on the specific column families being used and the average time taken to respond them. Total writes per second received on the specific column families being used and the average time taken to respond them. And that’s all for us for now!